We know everyone dreams of wowing their friends and family with their culinary excellence this holiday season. Maybe you have been saving your favorite Bon Appetit (or BATF!) recipes with the beautiful pictures and exotic ingredients you have been dying to try. We also know work is hectic this time of year and you may be trying to wrap up things before you take a few days off for the holidays. Throw in multiple holiday parties, a few kids, and maybe some visiting relatives and a nice glass of wine and pizza is about all you can handle. We at BATF understand your pain! We wanted to give you some easy ideas to make this holiday season enjoyable instead of stressful. Missy already gave you a great idea with the Almost Embarrassingly Simple 3 Ingredient Fudge. Okay, I think I have killed enough time. Here comes Easy Peesy Cheesy Bread. Buy some refrigerated Crescent Rolls. Put them on a baking sheet flat. I put parchment down first because why wash another dish if you don't have to? For appetizers, I cut them in half and as a side dish I use the whole thing. Spread with your favorite soft cheese or cheese (I would recommend shredded or very thinly slice for hard cheese) in general. Roll them up like the instructions say to and cook according to the directions. My favorite is the Boursin Cheese or Alouette Cheese because they are already flavored but the cheese/herb combinations are endless. Here comes my favorite: Boursin currently has a special edition Apple, Cranberry & Cinnamon that I freaking love right now and it goes perfect with a holiday meal. I also found a Cranberry Cinnamon Goat Cheese that went beautifully with the crescent roll as an appetizer. This app/side dish is awesome for finishing up the cheese plate you served the night before so go crazy! These are so delish they would make even Split Pea Soup good. 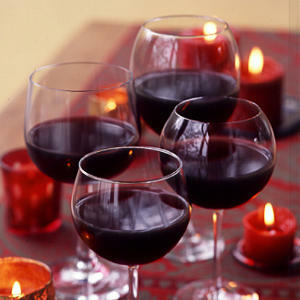 Remember to pour a glass of wine! P.S. If you are going to be making pigs in a blanket this year, remember to use my mother, Ivadell's tip and cook the mini wieners in beer. You won't be sorry. This is fantastic! I've actually tried this before with shredded cheddar cheese but I like your recommendations better. Love the easy recipes! This is the app that will get gobbled up first! 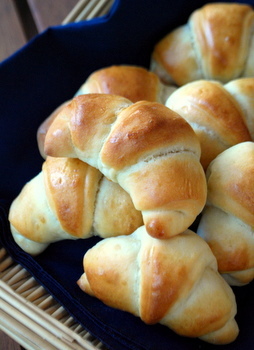 I mean have you ever had something you didn't like that was made with a crescent roll, seriously. On a side note, I just bought my first roll of parchment -- life changing. Yum! I'm loving these easy recipes! Perfect for a side to a stewp!! Missy - I hope you bought your parchment at Costco, because there is now (you guessed it!) Kirkland Signature parchment paper and it's a normal sized roll! Love this idea Megs. I agree with Missy, EVERYONE loves crescent rolls and I think combined with Boursin cheese would be divine. I have a feeling I'll be making this a few times this month. Okay, I am thinking Pepper Jelly and cream cheese to try the next time for this app! I served this on the yacht and they ate them up. Goat cheese and homemade saffron honey in the rolls - now you're talking!